We manufacture and maintain an inventory of multiple hammer styles. We manufacture and maintain an inventory of multiple hammer styles, plus we can fabricate and customize hammers as needed. See image for our most requested hammer styles. 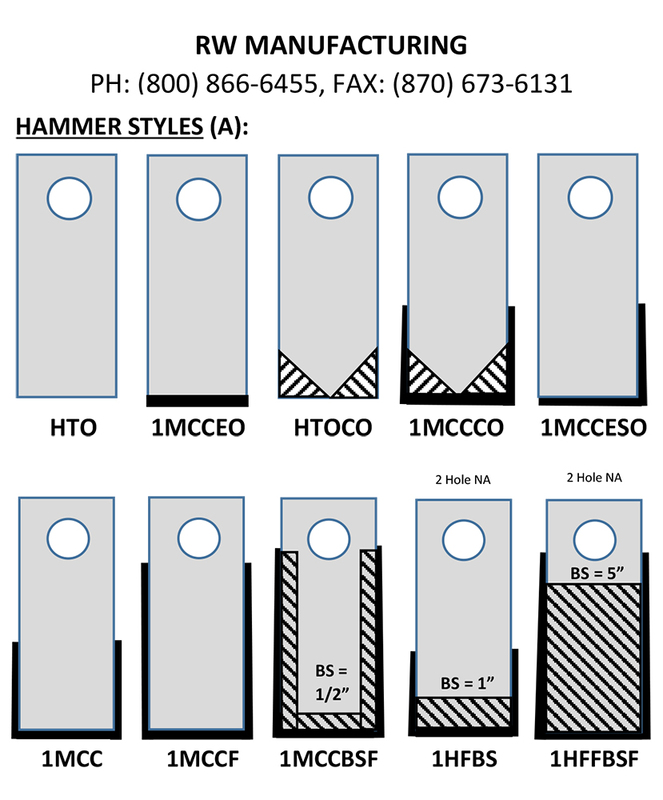 Call us at -800-866-6455 (toll free) or 870-673-7226 for more information on Hammer Styles. Using the “Hammer Styles” diagram on this page (A), please fill out the form below, or you may click on the Hammer Styles PDF link HERE, download, fill out and FAX the form to (870) 673-6131. Most Hammer Styles available with either 1 or 2 Holes. 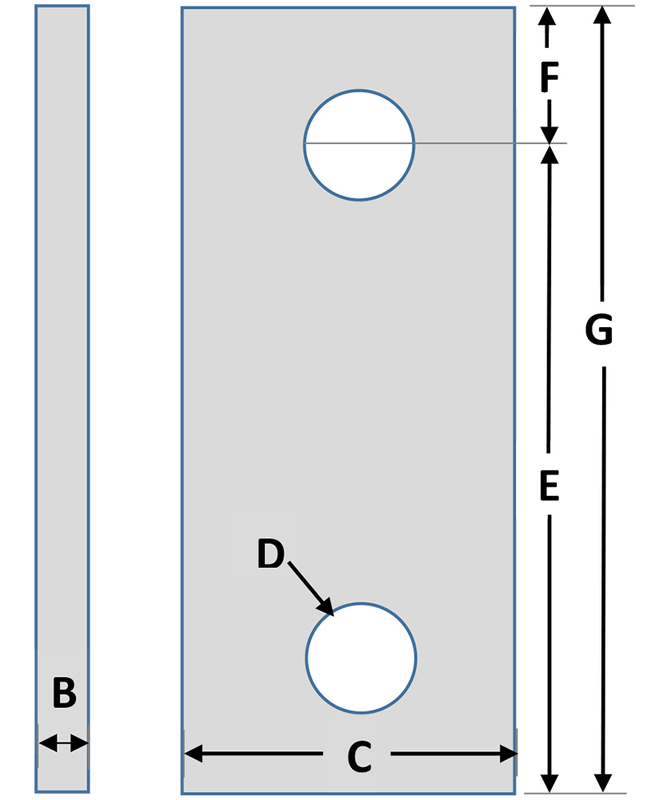 Please provide your requirements within Hammer Specifications in the form below (D). Options: Most RW Customers require a Medium Grit Hardfacing and Single pass of Hardfacing material. Double pass and Fine Grit are available. Please specify any “Other” and special requirements within “Additional Requirements” in the form below.